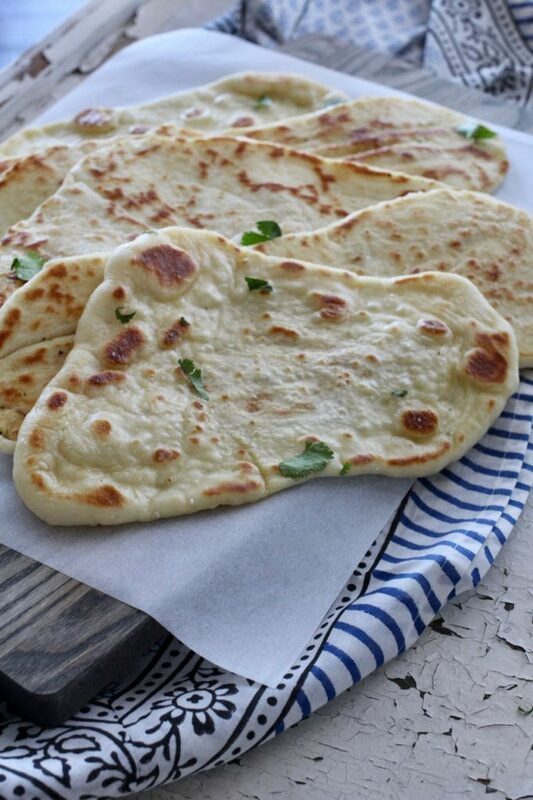 If you love homemade bread of any kind, you’re going to love this recipe for homemade naan. 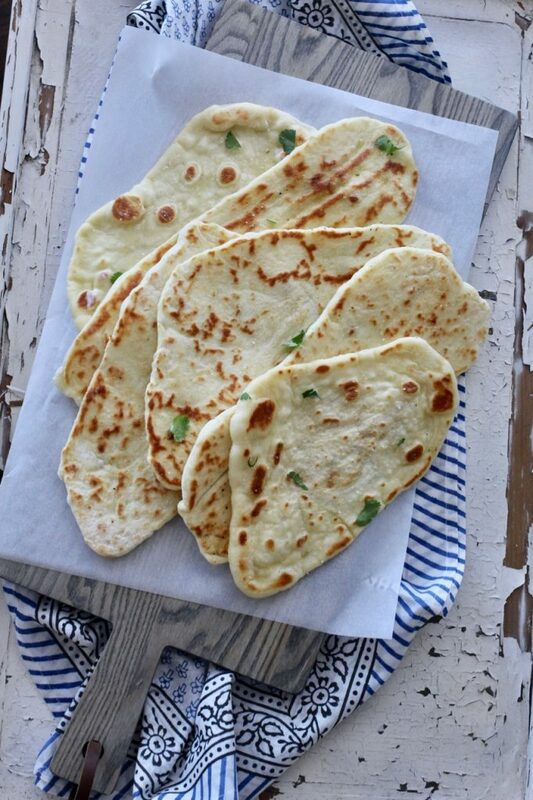 A traditional Indian-style flatbread, this recipe is so easy to make, requires no special ingredients, and is perfect for beginners or experienced cooks! Naan is a soft, pillow-like flatbread, an essential in Indian cuisine. Naan is usually baked in a tandoor, a cylindrical clay oven. Most of us don’t own a tandoor, but luckily it’s not required to make this delicious homemade bread. 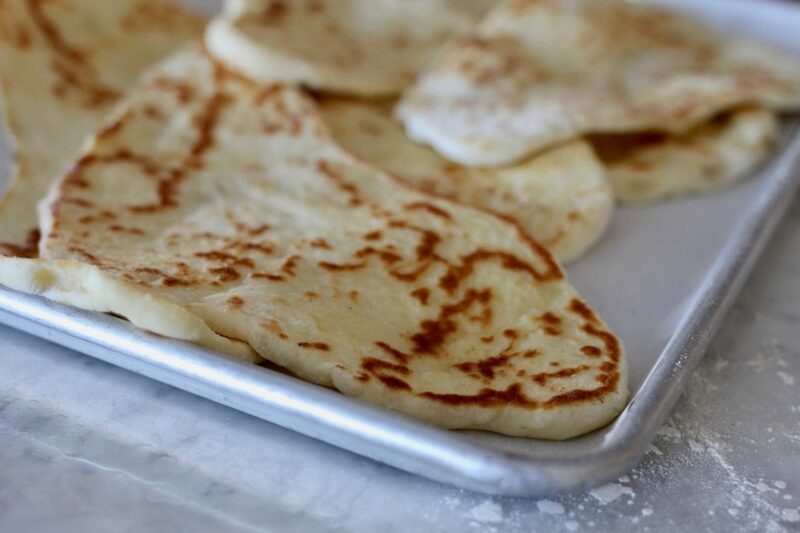 No need for special equipment when cooking naan, all you need are a few basic ingredients and pan or griddle and you’re set! I fell in love with naan on my trip to India in 2018. We had all types of naan and were totally addicted to this traditional side dish to most Indian meals by the end of our trip. Garlic Naan, Butter Naan, you name it, we tried it. One unexpected stop outside of Agra (on our way to see the Taj Majah) was my favorite food-find of the trip. The naan was especially delicious. We watched as the cook flattened the little bits of dough and slapped them against the inside of the Tandoor (or Tandoori) oven. Minutes later, he peeled the hot bread off of the oven wall and served to us in a basket piled with fresh hot garlic and butter naan. I was hooked! If you haven’t tried making naan you NEED to try this recipe. It amazingly simple and is perfect for serving with soup, curry dishes, or sopping up the sauce from this easy Indian Butter Chicken recipe. The slightly buttery outside, and tender inside makes it a delicious dipping companion. Once you make this recipe, you’ll never want to purchase naan again. Doubling the recipe is highly recommended if you have more than 3 people! You can also easily freeze any leftovers and re heat in the oven or in a pan on the stove. We experimented with several different recipes and methods before coming up with this combination. Kathleen my trusty assistant and ABK team member, is an Indian food fanatic. Kathleen experimented with baking soda and baking powder for leavening, and also a combo of yeast and baking powder. But we decided the the result wasn’t quite right. I love the texture of biscuits and pancakes when adding buttermilk to the batter, and after researching the use of buttermilk in naan, decided on a combo of buttermilk, yeast and baking powder. The finished product was perfection! This homemade naan is just the right combo of tender and chewy, without being tough or too bready. Is that a word?! 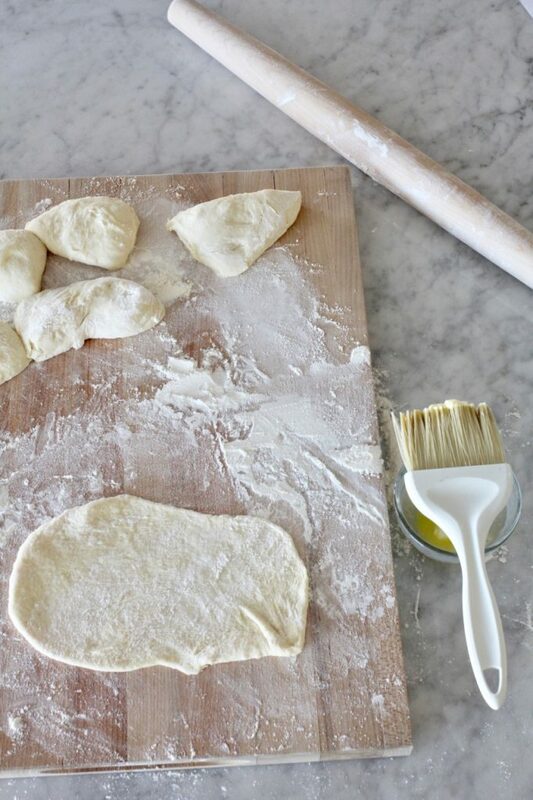 Nothing could be more simple than making naan at home. 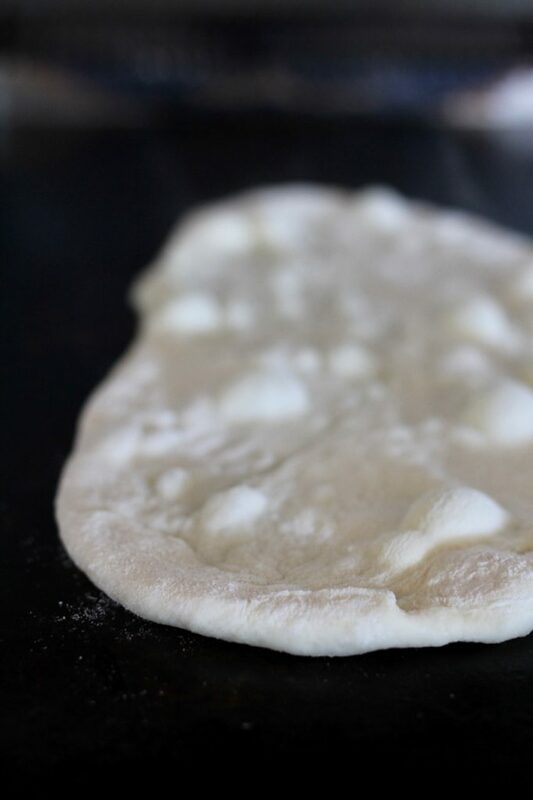 ABK’s recipe for homemade naan requires proofing the yeast (simply meaning, placing warm water in a cup, add yeast+sugar to help the yeast to rise), then adding the remaining ingredients, and mixing for a minute. Let rise, shape dough, cook in a pan, enjoy! A few tips to having success when using yeast is to make sure the bowl you are using to mix the dough is warm. This is especially important in the winter when utensils and bowls (glass and metal) can be cold. Also, use the recipe notes for keeping the bread in a warm environment while rising. Besides being super simple to make, the Naan is also quick. It takes just a few minutes to mix together and then 30 minutes to rise before cooking on the griddle! I love homemade naan for making open faced sandwiches as well as as a side for Indian theme meals. Just make and cook the naan as directed, then top with a little flavored mustard and a light bit of mayo. Top with favorite meat and cheese and pop under the broiler until cheese is melted. End with fresh spinach, sliced tomatoes or cut up grape tomatoes and drizzle with a bit of olive oil and balsamic. Add a little fresh ground pepper and salt and you have a meal! Fun to let everyone create their own sandwich for lunch or dinner. I’m often asked how people can help the people I have met in India. If you’re interested in donating to build a kitchen in Bihar, India for those affected with leprosy, I’d love to have you join me in this worthy cause. I’ll be in India sharing photos of the school children and hospital patients who live in the Little Flower Leprosy Colony. We are raising money to help build a new kitchen in the colony hospital. Currently, all meals for the hospital patients and students are being cooked outside, on the ground at the hospital. If you’d like to join other ABK readers, and attend a reception for donors, you can donate here! The first 100 donors will receive an invite to a special reception in April to celebrate the completion of the kitchen. I’d love to see you there! 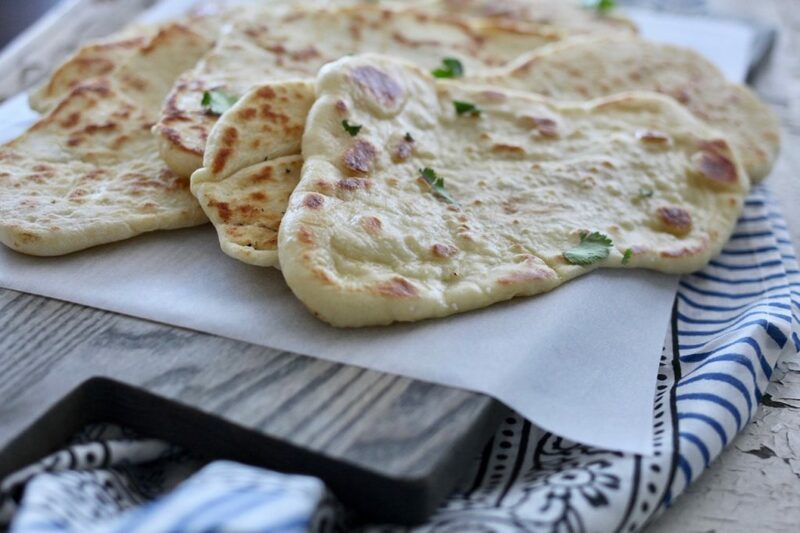 This recipe for tradtional Indian Naan Bread is soft, buttery and delicious! 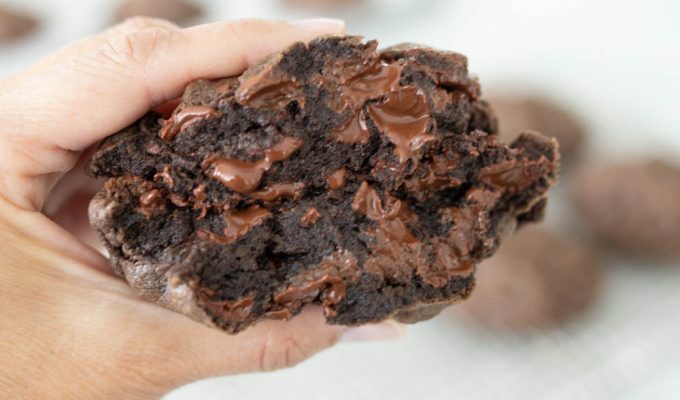 So easy to make at home, with just a few basic ingredients. Essential for any Indian style meal. Place warm water in a measuring cup. Sprinkle on yeast and 1 teaspoon sugar. Using very warm water, rinse the bowl used to make bread inside and out, creating a warm bowl for the dough. Dry with a cloth and set aside. When yeast begins to rise, pour into the bowl of a stand mixer, or if mixing by hand, into a large bowl. Add 1 3/4 cups flour, 1 tablespoon cornstarch, 1/2 cup of buttermilk and 1 teaspoon baking powder to yeast mixture in bowl. Mix for one minute on low speed, scraping down sides of bowl once. Cover bowl with Saran wrap and put bowl in a warm place* for about 30 minutes. Heat the griddle or other pan, preferable non stick or cast iron to about medium high heat or 350 degrees. 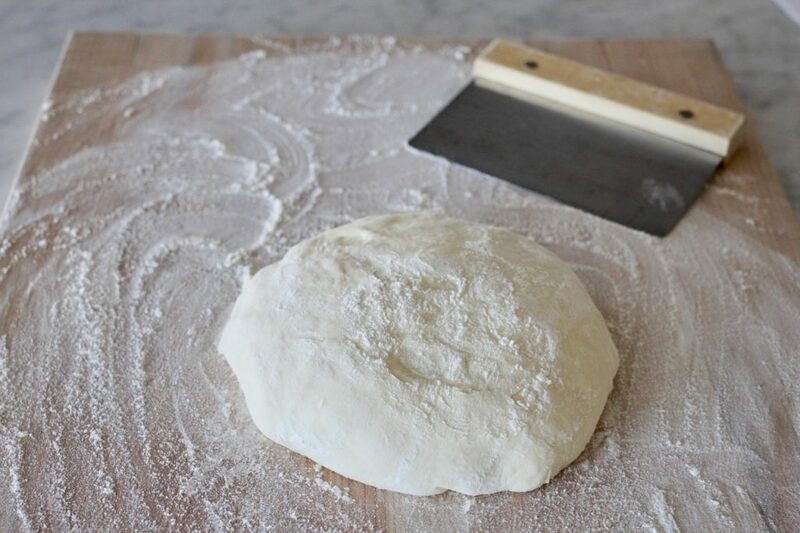 After dough has risen for 30 minutes, Place on a well floured pastry mat or clean surface. 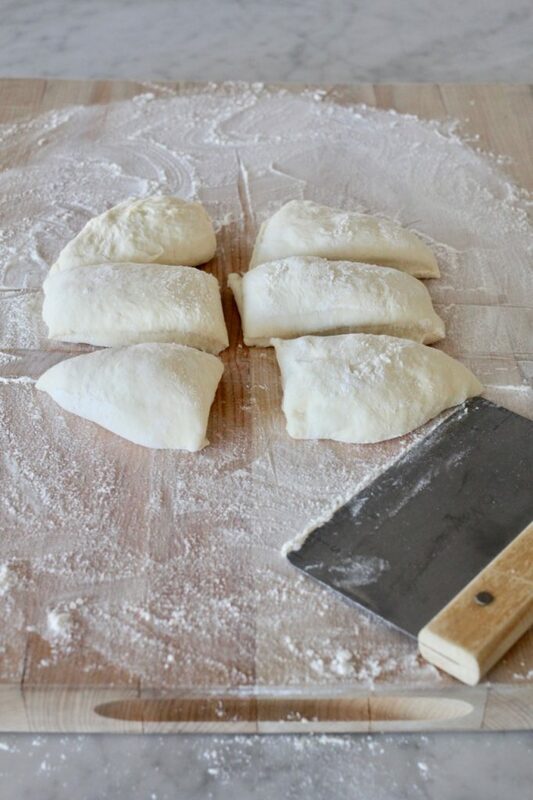 Cut dough in to six even pieces, and roll out one at a time into a long oval shape. The dough should be about 1/4 inch thick. Spread each piece on one side with melted or softened butter if desired. Grill on pan with buttered side down until golden brown. Flip and cook on other side. Cook into dough bubbles up and is golden brown. Remove and let sit on a sheet of parchment paper or cloth. Brush while warm with butter. Sprinkle with sea salt and fresh herbs. Serve immediately. When making any type of bread I like to make sure the bowl is warm before adding yeast or other ingredients. This is done by simply rinsing the bowl with warm water and then drying. The heat in the bowl will be retained and help the yeast to rise. If you need a warm place for the dough to rise, use your microwave as a mini proofing oven. Take a cup of water and heat for about one minute. Discard water. Then place the bowl of bread dough into the microwave oven. Make sure to cover the dough with Saran Wrap or a light towel before placing in microwave. The heat trapped in the microwave from warming up the cup of water is just enough to create a warm environment for the dough to rise. One of the best recipes I’ve tried. I cooked them on a cast iron skillet and loved the flavor it gave them. If I would have known making naan bread was this easy and yummy I would have done it a long time ago! Thanks!